Benchmark PDM’s president, John Lambert will also be speaking at the conference. John was one of the contributors and committee members with the WG15 group that produced the AMERICAN NATIONAL STANDARD Shaft Alignment Methodology, General Principles, Methods, Practices, and Tolerances. ANSI/ASA S2.75-2017/Part 1. He will discuss this and how we hope to bring and adopt this standard in Canada. 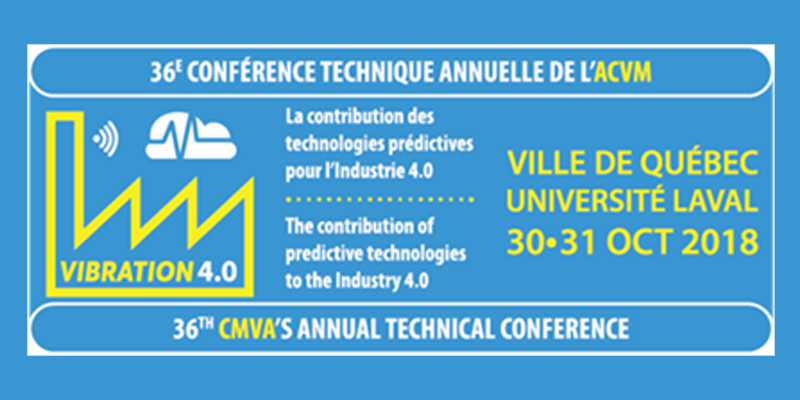 The Canadian Machinery Vibration Association (CMVA), formed in 1991, is a non-profit association whose fields of interest include machinery dynamics and all aspects of condition monitoring and predictive maintenance of machinery, especially vibration monitoring and analysis.